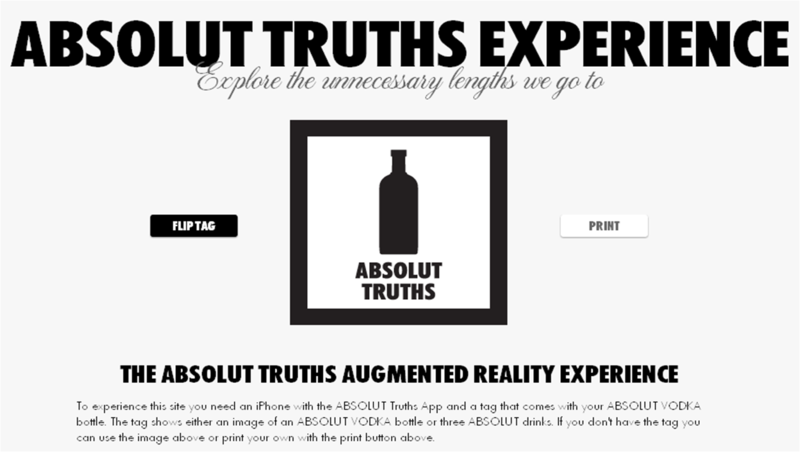 Users install the Absolut Truths app to their iPhone and can then scan an augmented reality marker from either a bottle of Absolut (a so called "neckhanger") or from the Absolut Truths website. 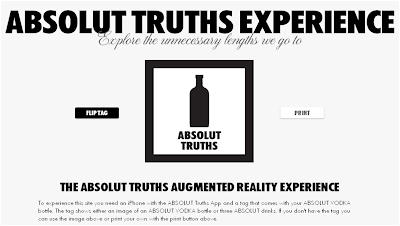 Absolut Truths is another nice example of how the real world can be augmented through digital content and also illustrates how mobile / mobile apps can bring (Owned) product packaging to life. This app seems great. I am still thinking of installing other apps to my iPhone but I think I will prioritize this one first. You might have encountered a netflix free premium account generator Official Site Because Netflix is providing the solutions on a premium offers. Limited hours for gaming is suggested. Unfortunately, video games are often highly addictive, so take steps to avoid this happening to you. Try to stick to playing video games for only a few hours each day. If you do decide to game more often, make sure you take breaks. Not so good, refreshing time is to long.